With Mercury direct again, and the sun about to glide across the equinox and into 0 Aries, I felt the urge to post something new, fun and exciting – a tool for you all to explore your natal charts in an expanded way. The derivative houses have been around for a long time. They are used extensively in horary astrology, but that’s not all. By looking at your natal chart, they can shine a spotlight on other people in your life, showing how you naturally experiences them in different situations. It can really help with deliberate creation and getting into alignment with what you really want. Now for some fun examples! Who wants to volunteer? Let me know in the comments and we’ll play with ‘turning the wheel’ so you can all practice. (I’ll be putting charts up here, but without the birth data for privacy! Example #1 – Jacqueline – Her questions are around business, health and home (see comments below. Jacqueline’s chart with the Aries Point Rising. That’s going to be a boost, just have 4 planets in Aries/first house! Here is Jacque’s natal chart. Her first question is about business, so we look to the 10th house. With the South Node there, part of her really needs to ‘let go of outcomes’ which isn’t an easy vibe for Aries Rising! So we will use derivative houses to get some hints on what will support her best ever business vibe. To do so, we’ll turn the chart to put the 10th house, or MC, on the horizon, making it of first house importance. (you can click on these smaller charts to get the full size image). With the 10th on the first, we see right away that of the actions she listed: coaching one-on-one, group programs, writing/blogging, product creation, the first and most supportive is going to be, ‘get thee a business plan! The 2nd from the 10th (the $$ and support form business) is ruled by Capricorn with Saturn in the house! Set a goal. Set an intention. Aries rising likes to wing it, and Libra can shilly shally, but the Saturn in you wants to have a solid, grounded, well organized plan. Just doing that OPENS the doors to support, success and increased $$. (Note – the plan itself doesn’t matter. You simply amp up your success by making one). Jacqueline’s Chart with the 10th house on the horizon – we have turned the wheel until house 10 is rising. The Next thing would be to go with the one-on-one coaching. Can you see why I would choose this as major support? Look at her Libra (connect, talk, counsel, coach) Sun and Venus! When we turn the chart to put the 10th on the horizon, the Sun and Venus in Libra are in the 10th house of success! (the 10th from the 10th is the 7th). One on one will support her more than group work (where she has Mars/Neptune – 11th from the 10th – which is super creative, and mystical, but may lose focus in groups – or the group is about as easy to lead as a room full of cats). Making sense? Writing supports her when she is on the perfect-for-Jacque-path as we see the North Node in the 2nd (support) house from the 3rd (writing). For health boost, the best suggestion is a personal trainer, running buddy, cohort or side kick. Not that when we put the 6th house on the horizon, Jupiter (for enthusiasm and gusto) is in the 8th (1st house is 8 from the 6th). That means sharing this journey with a buddy. Also, Saturn (stick to it discipline) is in the 6th (daily routine) from the 6th (health) so she’s going to want to, again, have a plan, and bring a friend. 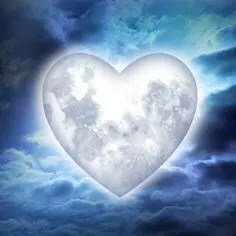 As for the 4th house of the Home, roots, and ground, when that comes to the horizon, we see the Moon ruling her 2nd (support) from the 4th (home) and that means, self-love. Whatever makes her smile, feels nurturing and comforting, she wants to do more of that. This is a Cancer moon, and Cancer moon is nurtured by 1) loving and caring 2) feeling needed/useful 3) sharing emotions. I am seeing this is perfect alignment with self-care, home, health and successful one-on-one coaching practice (where she is needed, useful and sharing powerful emotions). Thank you Jacqueline, for letting us use your chart. Everyone who has posted and emailed me, wow! Thank you too! I will, over time, take a look at everyone who is in the comments. If I can post your example charts, that will be helpful for the learning process. See how informative this is! Derivative houses rock! Want to learn more about astrology and the law of attraction? Drop by Good Vibe Astrology, sign up for weekly tips and check out the classes. Astro-LOA 101 is ongoing. You can start anytime!